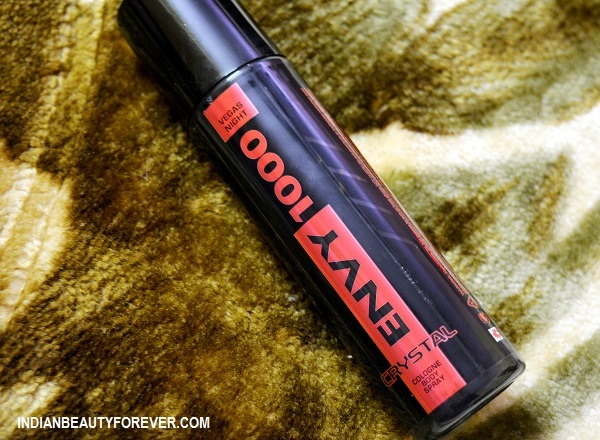 Hi girls, I am with a new body spray and this is too from the Envy 1000 range. I have used 2-3 sprays from this brand and most of them have fared well. Let’s see if this does the same or not. By the way this deo spray is for men. 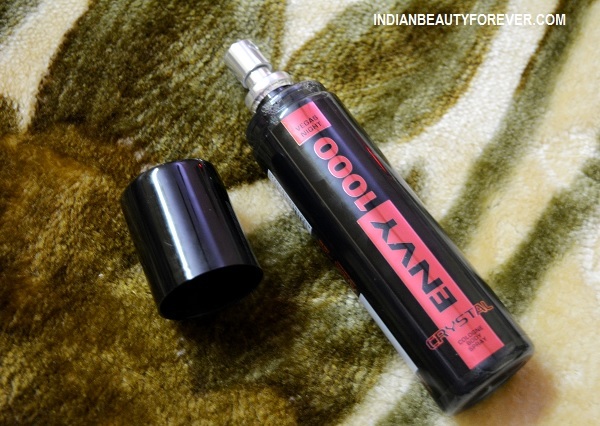 The deo is in a black bottle with a white pump that works nicely and sprays enough liquid. This is not a gas based deodorant but a spray that is only perfumed liquid. I use this in the morning and could feel that it stays on me for 4-5 hours. I think the staying time is good since most of the body sprays and deos would last that long. The fragrance is a mix of woody and floral notes. Some of us would like to wear woody notes during the winters. This is bit strong in the first spray but would get a little softer after few minutes giving it a musculine scent that can be worn every day. There is no skin irritations post using this spray. I think this is very affordable as this bottle of 199 rupees will last for 2 months approximately. Moreover, the spray is intense, strong and not something that you have to sprays a lot of times. I would love to try and repurchase it unless I get a better option. But still I would say that scent, fragrances or deos can be really tricky since the fragrance that one likes may not be liked by everyone.